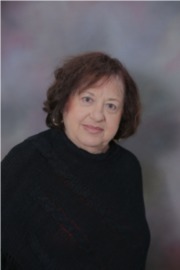 Connie Piccininni is one of the building blocks of Bergen Basin Realty! She has been with the company since its inception over 35 years ago and is still actively doing rentals! She has mastered vast areas of customer service throughout the years and has implemented her experience handling customers in all of her transactions. She is very well known in the area having been an active community member all of her life. Starting out in Marine Park after getting married and starting her family she moved to Mill Basin where she currently resides. Connie's late husband, Peter Piccininni recently even had East 64th Street off of Ralph Avenue named after him! When you reach out to Connie, you are reaching out to experience!